This time, we would like you to experience a spectacular panoramic view of Istanbul Asia, the Sea of Marmara and the Princes' Islands. After a short ride and visiting Beylerbeyi Palace; we will complement the day with Maiden’s Tower, which stands on the only island in Bosphorus and is associated with many romantic tales and legends. Ottoman summer residence and a guest house to entertain important foreign visitors. 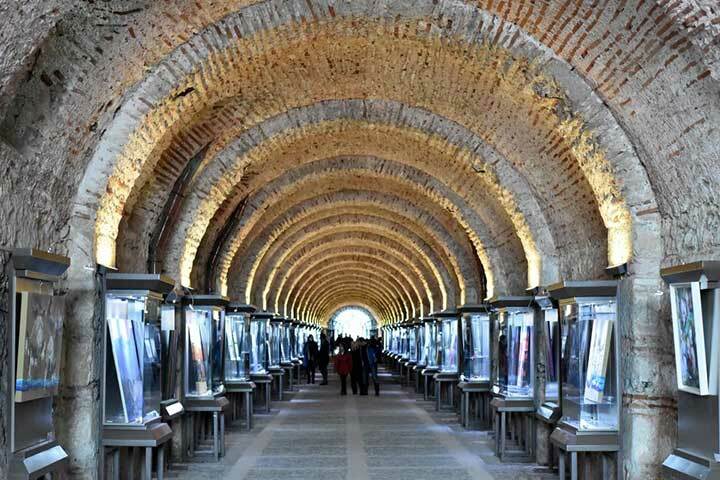 Over the years, it hosted visitors such as Empress Eugenie of France, Crown Prince Oscar of Sweden, Emperor Joseph of Austria-Hungary and Nasireddin, the Shah of Iran. 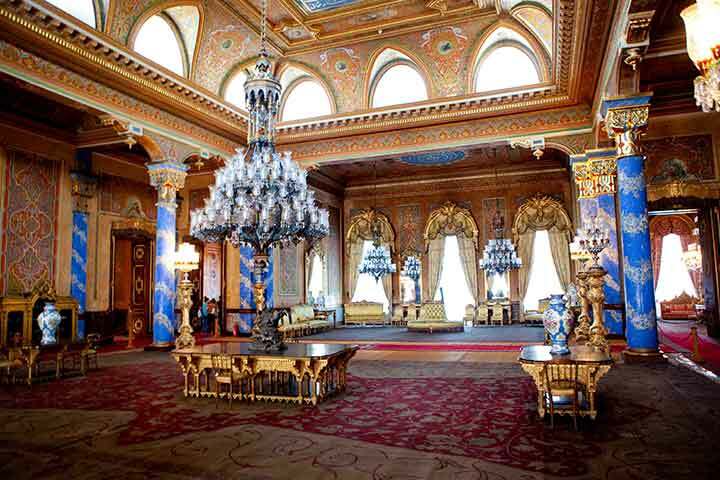 Additionally, it was the last place of captivity for deposed Sultan Abdulhamid II, who lived there until his death in 1918. The building is richly decorated outside and inside but the first feature to catch the eye is the admirable work on the facade. The interior decoration is a blend of traditional Ottoman design and neoclassical elements. The reception hall is named Hall with Mother-of-Pearl; there are two principal rooms in the central location of the palace called the Hall with Pool which has a large oval pool in the center and the Blue Hall with sixteen beautiful blue columns. The palace has got two main sections Selamlik (Official Part) & Harem (Privy Chambers) with 6 halls and 24 rooms in addition to elegant well-kept gardens. The halls and rooms are extravagantly decorated with the best carpets from Hereke, Bohemian crystals, exquisite chandeliers, French clocks, Chinese and Japanese porcelain which will take your breath away. Maiden's Tower is located on a little island which has been used as a lighthouse through the ages. The origins of the tower are not clear, but it is believed that it was first established by the Athenian general Alcibiades as a customs station for ships coming from the Black Sea. But the legend tells it was built by an emperor to keep her precious princess safe from a snake bite on her 18th birthday after a fortune teller had prophesied so. Nevertheless, she faced her fate when a venomous snake bit her as she reached for the fruit basket brought by her father as a birthday gift. The tower had been rebuilt and repaired over the ages and had taken its final form in the 19th century. 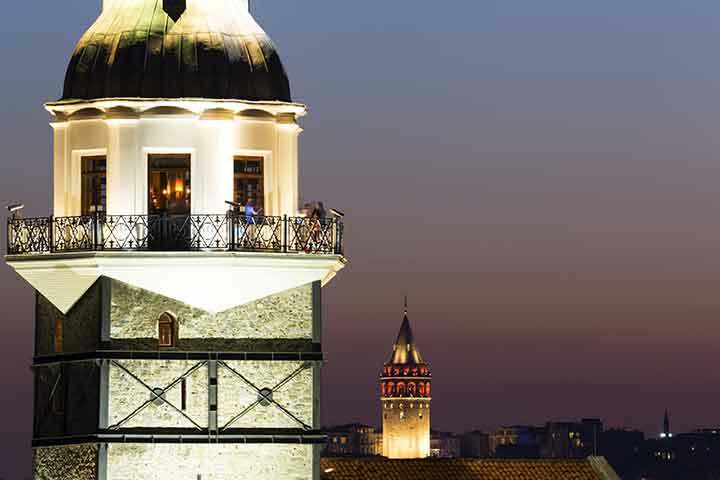 Today, Maiden’s Tower houses an upscale restaurant and bar which, especially the balcony and the bar on the top floor is one of the most popular places for romantic evenings. You will close the day in this extraordinary setting surrounded by Istanbul with love.